ESL One Cologne 2018 was a tournament that was full of surprises throughout. The group stages, held in the ESL studios, delivered plenty of drama and surprises. By the time we got to the LANXESS Arena, the legendary Cathedral of Counter-Strike, the complexion of the playoffs was rather different than expected. 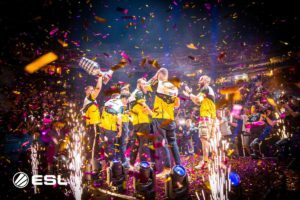 The playoffs eventually ended with Na`Vi shockingly punting Astralis into touch in the Semi-final and BIG doing the same to a bewildered FaZe Clan. Against all predictions, the Grand Final was contested between Na`Vi and BIG. For once the expert predictions were proven right in the final as Natus Vincere disposed of hometown heroes BIG 3 – 1. For the full story go read my group stage and playoffs wraps over on GINX. Without further ado, let’s look back at storyline that the Counter-Strike world perhaps didn’t take too much notice of during ESL One Cologne 2018. Amidst the BIG cinderella story and Na`Vi triumph, a thing or two perhaps went unnoticed. Far from it in fact. They defied expectations. More than that, it showed that the tactical leadership of Kevin “Ex6TenZ” Droolans is still as astute as it was back in Titan in 2015 or in VeryGames prior to that. After being in the wilderness of the French scene for past few years at LDLC, his return to tier one competition didn’t go so well in Belo Horizonte. That was with essentially no practice. In Cologne, after having a few weeks to prepare, the team look well-drilled and had some great tactical variety. Ex6TenZ seems to know the secret cheat code to unlocking the best from star AWPer Kenny “kennyS” Schrub. It almost felt like we were watching Titan-era kennyS at times. He had a terrific performance in Cologne, finishing with a 1.23 HLTV rating despite their 16 – 1 loss to BIG in the Quarter-final. That’s his highest personal rating since IEM Oakland in November 2017. They still lack a little in firepower and managed to have a good run despite Richard “shox” Papillon not quite hitting vintage form after his surgery. If he does, G2 could be a real threat in tournaments on a consistent basis. They are certainly still the best team in the world despite their shock loss to Na`Vi in the Semi-final. Their sheer consistency and the quality of their preparation and coaching usually shows on the server. Astralis are almost too perfect in some ways. What I mean by that is that this team tends to rely on their superior setups and their tactics to win matches. The Danes don’t usually need incredible individual performances to get them over the line as everyone contributes. Or as Profeci more aptly calls it, BS. Perhaps they need to look to enable players like Nicolai “dev1ce” Reedtz and Emil “Magisk” Reif to create a bit more of their own BS. They most certainly didn’t have an answer for Zeus’s BS 30 kills in regulation for the first time in almost four years. That broke the system. The system gets them into winning situations. They need the individuals to do a little more when the system isn’t quite enough. With the recent removal of support player Martin “STYKO” Styk from the lineup, Mousesports seemed to be aiming for an increase in firepower. 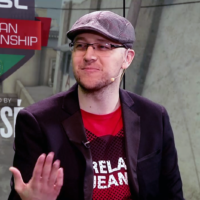 Fans had been quite vocal about Styko’s perceived failings in terms of fragging, without necessarily taking into account his contributions as a true support player. He is one of few modern players to embrace the support role and make his entire existence about setting up his teammates to succeed. Filled to capacity. Image courtesy of ESL. Former Virtus.Pro star Janusz “Snax” Pogorzelski is a firepower upgrade and he had a decent individual performance in Cologne. The rest of the team seemed to struggle a little though. In game leader Chris “chrisJ” de Jong can’t be the only supportive element in the team. Someone else or even Snax might need to sacrifice a bit to do the donkey work that Styko was doing to get Mouz back to winning ways. Team Liquid have some very real problems to contend with. Their lack of a true AWPer is starting to become a problem for one. The combined in game leadership and part time AWP burden on Nicholas “nitr0” Cannella doesn’t seem to be doing his individual performances any good. Between NAF, Twistzz and EliGE they should have the star power they need to take on elite teams. Something is not working in this team and probably means a lineup change. The only player I could see being on the chopping block is nitr0. Current reports suggest Marcelo “coldzera” David could be making the move from MIBR, which adds even more fragging ability as one of the world’s best players. Presumably he’d want to in game lead, which I’m not sure is the best use of one of the game’s greatest. They’d be better, but I’m not sure it would be the right kind of better to fix the team. Fatih “gob b” Dayik’s troops looked fantastic all tournament on Dust II and are surely the best CT-sided team in the world on the map now. In their run to the Grand Final, the home crowd were very vocal in their support and certainly helped spur the players on. It was a true cinderella story for the local side. They have great tactical depth in the grand old tradition of gob b’s teams and enjoyed excellent performances from the likes of nex and tabseN. With other teams now having more information and demos to watch of theirs, I think it’s going to be incredibly hard for BIG to achieve similar heights in the rest of the year. Also, how likely is it that nex will play like it’s 2015 again? They’re a better team than anyone thought, but they’ll struggle to match their Cologne run again now that they are a known quantity. Header image courtesy of ESL.